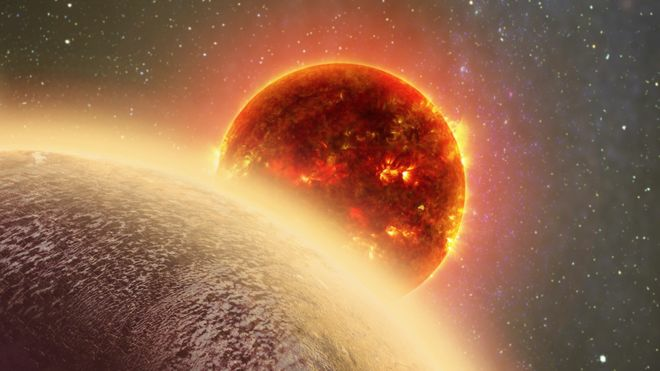 Their observations suggest that the "super-Earth" is cloaked in a thick layer of gases that are either water or methane or a mixture of both. "It makes the star look a little bit fainter - and it's actually a very good way of finding transiting planets - it's how this one was found," said Dr Southworth. "One possibility is that it is a 'water world' with an atmosphere of hot steam," said Dr Southworth.